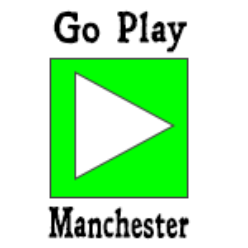 Go Play Manchester is a monthly meetup for role-players, held in central Manchester, between 1 pm and 5 pm on the 2nd Sunday of each month. We play a variety of table-top role-playing games in a one-shot format. Our GMs are experienced and the games come with pre-made characters. All you need to do is sign up in advance by joining the newsletter and I’ll post the game descriptions and link to online sign-up when it is ready. If you want to GM we normally ask that you attend one meetup as a player to see how it works first. More information is given on our GMs page. There is a £2 charge per person, payable on the day that goes towards the venues’ running costs. Any questions, please contact the meetup’s organiser Newt Newport.